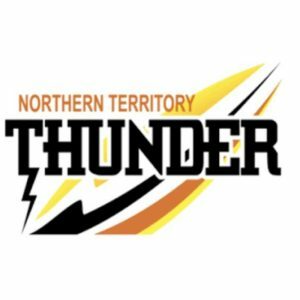 FOR the seventh time in eight years, Waratah was crowned premiers in the Northern Territory Football League (NTFL) Women’s Premier League. The Warriors battled it out on a wet day for footy in a tight matchup against Southern Districts, who failed to kick a major through the downpour. With bad weather only the beginning for the Southern Districts, Waratah managed to work through the onslaught, outlasting the Crocs in a low-scoring affair. Waratah: S. Nalder, J. De Melo, M. Gault. The Warriors kicked off the game with a bang. Madeline Gault got plenty of the ball early and hit up Sue Nalder, who slotted her first goal for the day. 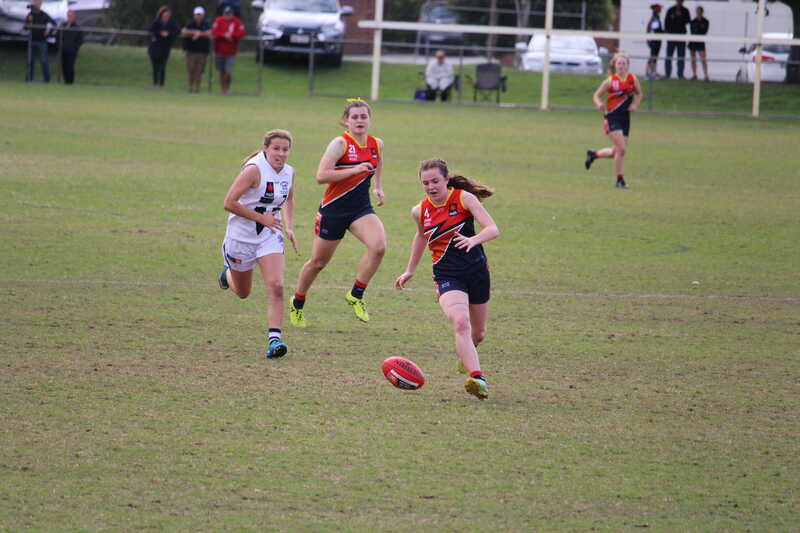 Jade De Melo was next to hit the scoreboard, with a contested mark in the goal square and a simple set shot that had the Southern Districts rattled early on. Lisa Roberts was dominant in defence as she rebounded everything from the defensive 50, while Joanna Kolodziej held her own in the ruck. With the Crocs’ situation dire, Ebony Miller was placed in defense while Indy Sleeth took over the ruck responsibilities. 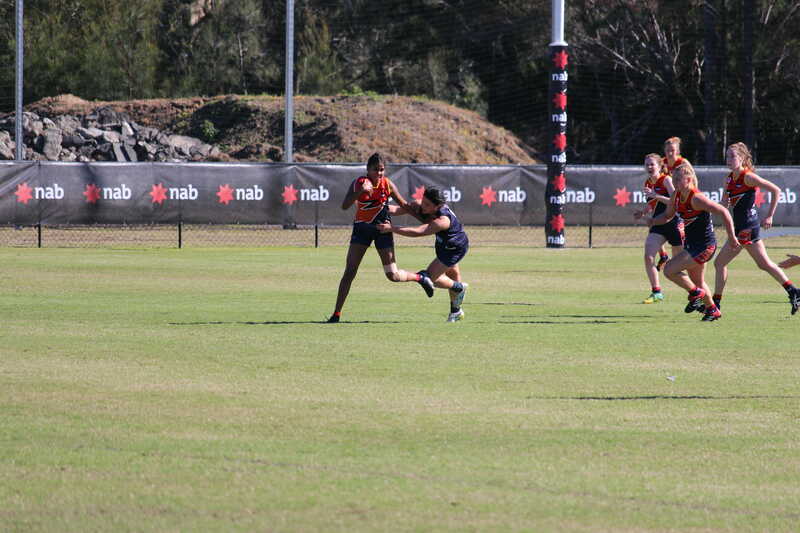 In the second term, Sleeth was getting the upper hand over Kolodziej while Tayla Thorn was getting busy. The Crocs soon found themselves in front of goal with Amelia Bartlem winning a free kick. However, Bartlem shanked the kick and Waratah piled on the pressure. Some missed opportunities by the Warriors kept the Southern Districts in the game, but nobody was prepared for the storm that came. At the beginning of the third quarter, the rain hit TIO Stadium hard. Experienced players had trouble controlling the ball in the extreme weather and pressurised conditions. It was here that the Crocs started to fight hard and gain momentum. The wet weather seemed to suit the Crocs as Thorn had a breakaway snap at goal but failed to convert. Continuation of the match was called into question with sightings of lightning, causing a break five minutes into the quarter and breaking the Crocs’ momentum. Eventually the game went on as both teams fought to a standstill heading into the final quarter. Waratah’s defense was a wall that held strong in the last term. In the end, the margin that seemed so close was impossible for the Crocs to match. Gault managed to put some icing on the cake in the final moments, as a poor lapse in judgment by Thorn in defense had Gault capitalise for her first major. After that it was official, as Waratah were named the 2018/2019 premiers. Roberts won the medal for Best on Ground, while Lateesha Jeffrey praised her girls for their performance in a tough game. As for the Tahs, it’s just another Grand Final victory for a superb side.